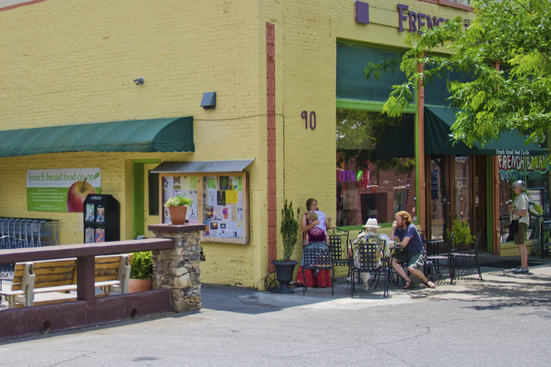 Experience the real Asheville. Book a stay at the Gray Rock inn! 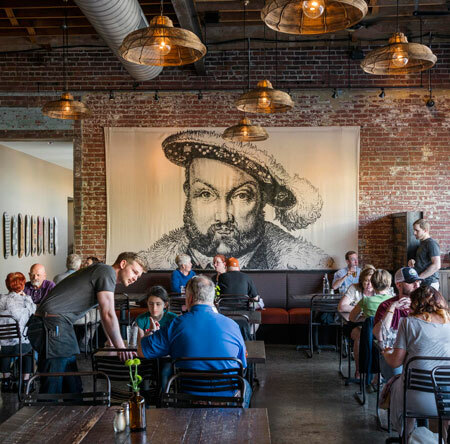 Explore everything that downtown Asheville has to offer from affordable, cozy accommodations in a historic, eco-friendly inn that reflects the funk and authenticity our town is known for. Make your reservations in minutes via Airbnb! Affordable, cozy accommodations for the budget-minded traveler in the HEART of downtown Asheville. We’re really proud of the feedback that we’ve gotten from our guests for our location, helpful staff, and squeaky clean accommodations. 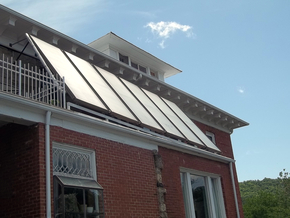 An eco-friendly historic inn with character. 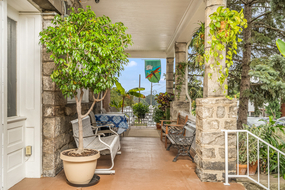 The Gray Rock Inn is a classic 100+ year-old building built in 1911 and originally operated as a boarding house. 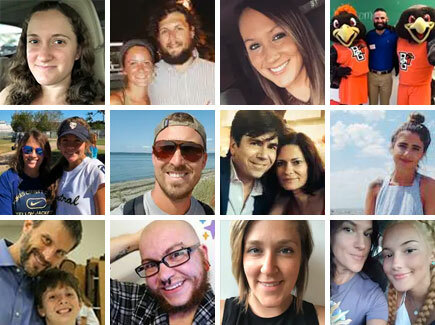 Today, it houses an eclectic mix of short & long-term residents from diverse backgrounds. 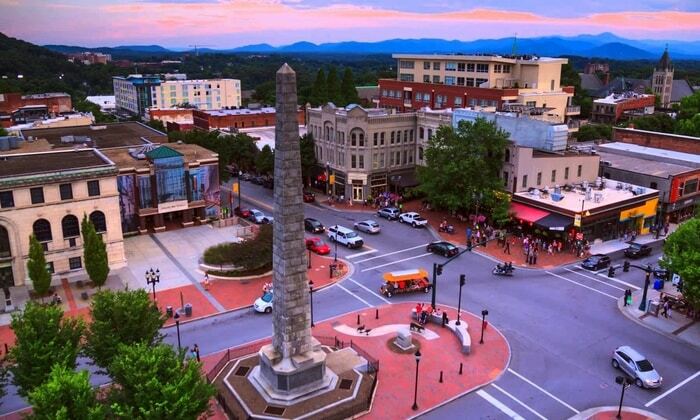 Located just a few blocks from the Vance Monument in downtown Asheville! With the Gray Rock Inn, you don’t need to break the bank for a comfortable stay downtown. 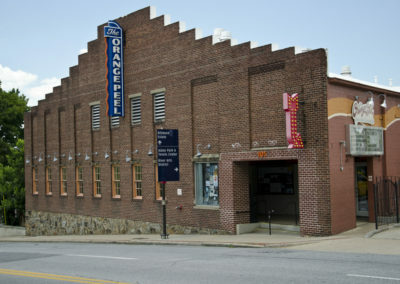 Our reasonably priced rooms are located right in the mix of the Asheville funk. 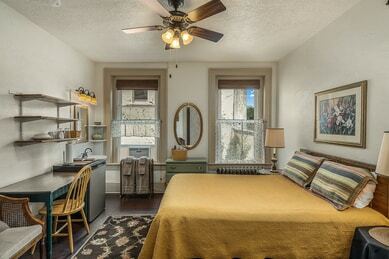 Experience a stay at an eco-friendly historic inn steps away from Pack Square. 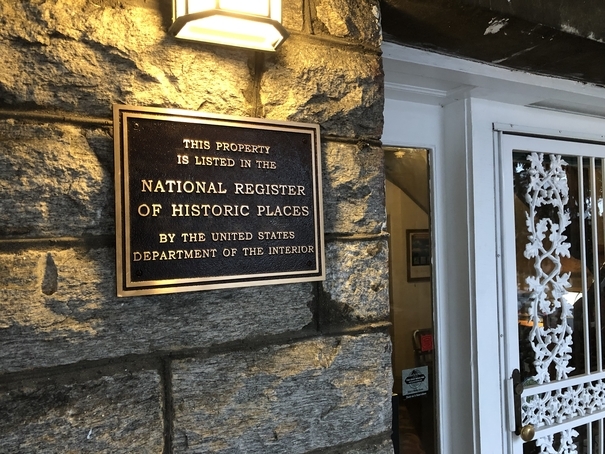 For more than 100 years, travelers have stopped at The Gray Rock Inn for comfortable downtown accommodations. 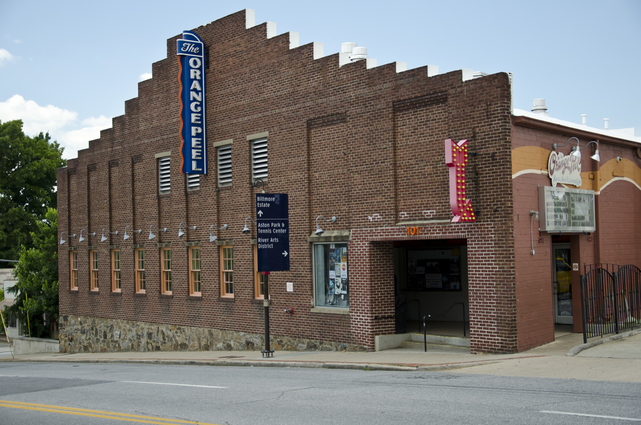 We’ve seen a lot of local history, and we’re proud to be in the center of Asheville today. This small room is perfect for the solo traveler, with a twin bed, sitting chair, writing desk, and shelves. 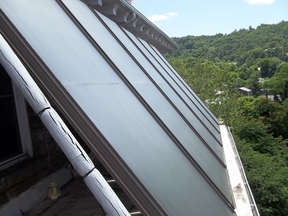 A large window lets in natural light (we have solar panels that do obscure the view, but heat our water). 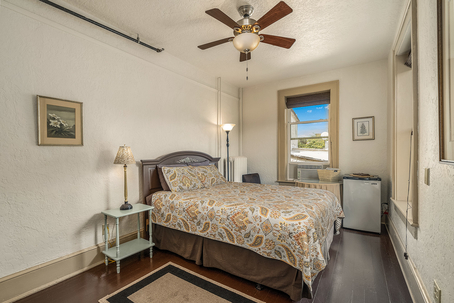 This antique style, front corner second floor room has a queen-size bed, desk and large windows. 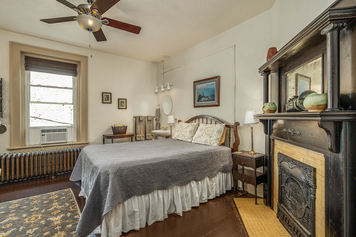 A classic room with a queen size bed, sitting area, original fireplace mantle and antiques. 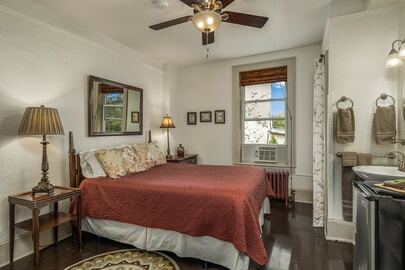 Lovely second floor room with a queen size bed, table, chairs and plenty of natural light. 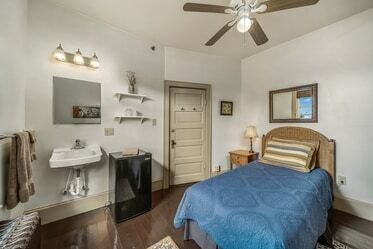 Lovely second floor room with a queen size bed and plenty of natural light from two large windows. Great views of Beaucatcher Mountain. A large window lets in natural light with an excellent morning sunrise. 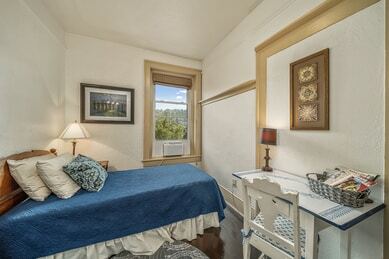 This small room is perfect for the solo traveler, with a twin bed, table and chair. 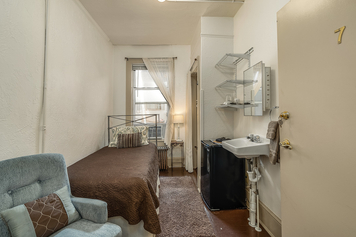 This light, second floor room is in the back corner of the building and has a single-size bed and a spacious feel. The room has a table and chair, as well as a closet. A special collection of rooms with history and soul. 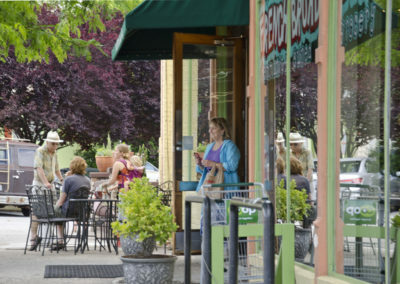 Take a Tour of Our Historic Inn & Neighborhood! The Gray Rock Inn and its surroundings have got a lot of heart. To get a feel for what your stay will be like and the people you might meet, take a few minutes to explore our video library. What do guests have to say about the Gray Rock Inn? “Our stay at the Gray Rock Inn was amazing! John was able to accommodate us for a last minute booking and was very responsive in doing so. 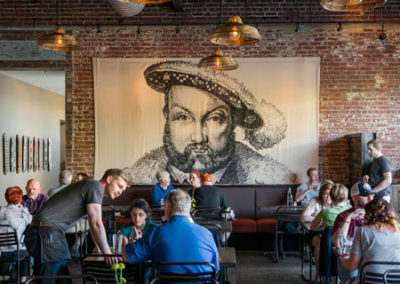 The room was very comfortable and very convenient to downtown Asheville, especially to the South Slope area (lots of breweries within walking distance!). “If you are looking for a simple safe little room look no further! “Our room and stay exceeded my expectations. Loved the location of downtown and everything there was to offer. “My partner and I loved staying here. 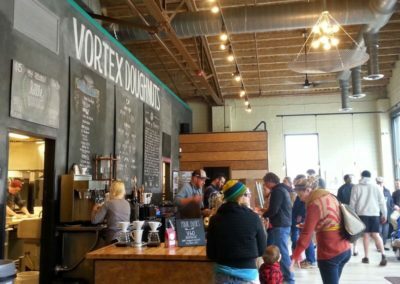 The room was perfect for two people and the location can’t be beat if you’re trying to tour the local breweries. We stayed here for New Years Eve and the location saved us time and money on finding alternative transportation to eliminate drinking and driving. “The room was cozy, and not too small as I had feared. The amenities are simple, but comfortable and very clean. I had everything I needed. At the Gray Rock Inn, we’re dedicated to reducing our environmental foot print. We offer accommodations in an International style, with shared bathrooms and kitchen facilities. 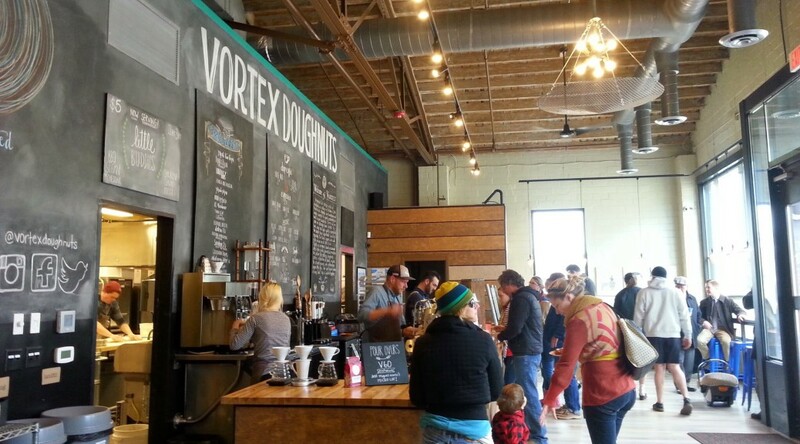 In this space, you’ll encounter fellow travelers and local residents alike. 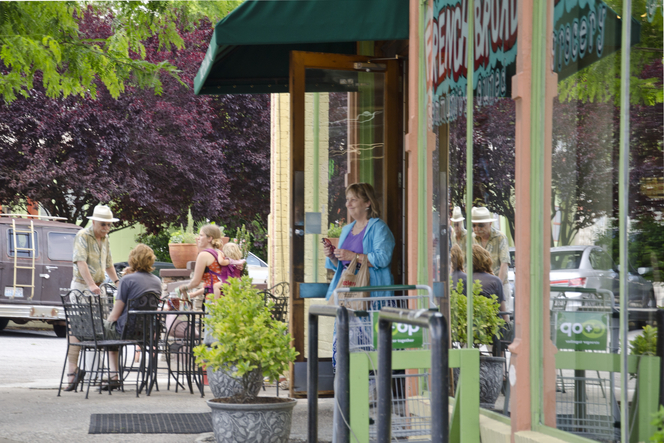 What you’ll experience is a small community that shares a love for Asheville. 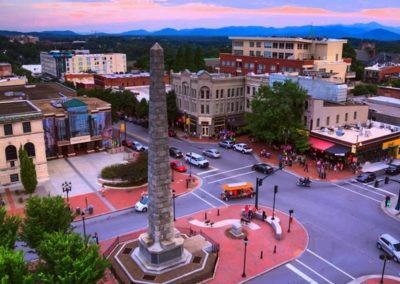 We're right downtown within walking distance to Asheville's main attractions and local color.